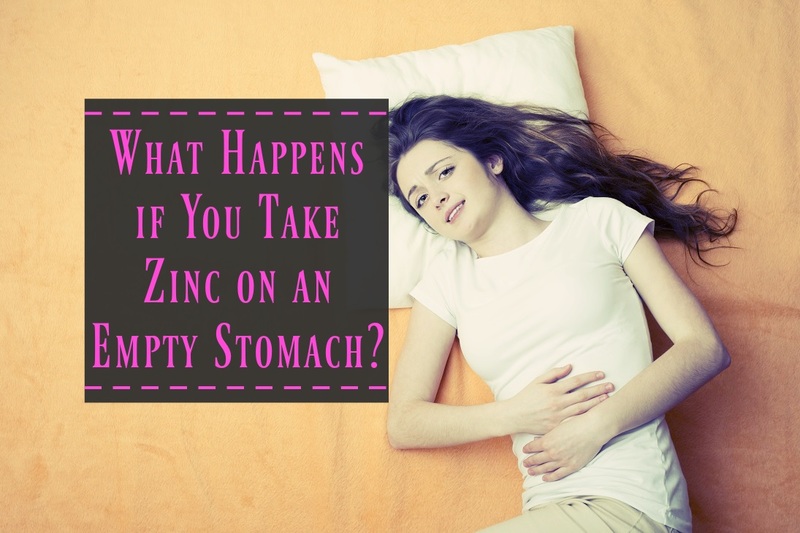 Home » Blog » What Happens if You Take Zinc on an Empty Stomach? What Happens if You Take Zinc on an Empty Stomach? If you grew up taking a multivitamin every morning, you may be surprised to find that some supplements don’t agree with your stomach. In fact, there are some supplements that may leave you feeling downright sick. For those hoping to get more zinc into their diets, timing is critical when taking this crucial mineral. It’s not a good idea to take zinc on an empty stomach! What’s In A Zinc Supplement? While zinc is a commonly found mineral, much of what can be found in nature is not bio-available; that is, not easily absorbed by the body. If your doctor has encouraged you to find a zinc supplement, try to find a single tablet with the appropriate dose. Adult males need 15 mg per day, adult females need only 12 mg per day. However, pregnant and lactating women need between 15 and 19 mg per day. Children from 3 to 10 shouldn’t take more than 10 mg per day, and children under the age of three need no more than 5 mg. Discuss dosage options for children with your pediatrician, and be aware that many of the zinc tablets on the market come in 25 mg dosages. 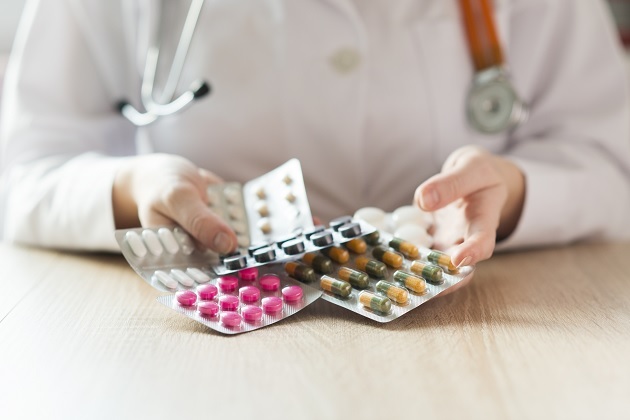 Zinc deficiency can be hard to measure, but if you are especially susceptible to viruses or if wounds or injuries take a long time to heal, consider asking your doctor about adding a zinc supplement to your daily routine. It should be noted that zinc deficiency is quite rare in the developed world. However, additional zinc can be extremely helpful to pregnant/breastfeeding women or anyone with a digestive disorder such as Crohn’s disease. As Crohn’s makes it extremely difficult for the body to successfully absorb nutrients as food passes through the gut, a zinc supplement can aid both in getting enough of this crucial nutrient and in boosting the ability of your body to heal. Many users swear by zinc lozenges to fight off simple viral infections, such as colds. These lozenges generally contain no more than 10 to 15 mg of zinc and are most effective if used within one day of noticing your cold symptoms. These lozenges can irritate the lining of your mouth, so avoid anything heavily salted or highly acidic, such as a beverage with lemon, if you notice any soreness of your gums or tongue. This irritation will generally subside within 12 hours of a flare-up. Dietary zinc is easy to ingest if you eat red meat and poultry, so vegetarians and vegans are particularly susceptible to zinc deficiency. But, those with limited diets can boost their zinc intake by adding a fortified cereal to their daily routine, or by boosting their intake of beans, nuts and whole grains. How Often Do I Take My Zinc Supplement? Your zinc supplement can be taken daily, but consult your doctor first! For best effect, take it one hour before eating (not on an empty stomach!) or two hours after. If this upsets your stomach, you can take this supplement with juice. It should not be taken with milk! It’s not a good idea to split your zinc supplements. First of all, the tablets may be coated for easy absorption, so if you split the tablet, you breach the coating and might cause stomach difficulties. In addition, this can alter the dosage or make it harder to measure. If you struggle to swallow pills, it should be noted that zinc supplements can be taken via lozenge or by drops. This form of supplementation may lead to irritation of the lining of your mouth, and can have an impact on your taste buds. Long-term use of zinc lozenges can lower your copper levels. There are aerosol zinc applications available for those who simply can’t ingest this product in any other form. Be careful, because some users have found that this can have a serious impact on their sense of smell. What If Zinc Upsets My Stomach? Zinc on an empty stomach can cause symptoms such as heartburn and nausea. If taking it with juice still upsets your stomach, try taking it during your meal. Take special care with your dosage! Ingesting too much zinc can be toxic, so the body will simply reject it! If you’re taking the suggested dosage and still suffering, consider taking it with a 1/2 cup of plain applesauce to reduce hyper-acidity. Another option is to take your zinc supplement with a hearty dose of protein or fat. Many supplements are simply easier to absorb if ingested with a high fat product, such as peanut butter. Try not to take your zinc supplement with a high fiber meal; your gut is working harder when digesting roughage and irritation may result. Are There Risks To Taking Zinc? Zinc shouldn’t be taken without consulting your physician to make sure this product won’t interact with something you’re already taking. For example, women on a calcium supplement may interfere with the ability of their body to absorb the calcium by taking too high a dosage of zinc. If you’re using zinc lozenges to fight a cold, be aware that too much zinc can cause a fever. Extreme amounts of zinc can actually lower your ability to fight disease. Finally, pregnant women should carefully monitor their zinc intake; high doses of zinc can damage the growing fetus. Taking a zinc supplement can be a bit tricky; it’s not how much of it you take, but how much of it your body can absorb. Zinc can be found contained in a multivitamin, in a separate tablet, in lozenges or as a liquid drop. Tablets of zinc alone can be found listed as a zinc picolinate or a zinc sulfate. Zinc picolinate in tablet form is easier to absorb and will be easier on your digestive system. When taken with meals, be aware that foods high in calcium can work against you. As noted previously, meals high in fiber and dairy products can block the ability of your body to absorb zinc. When taking a liquid zinc supplement, mix the proper dosage with juice or water. Take this in combination with food, or follow up with food quickly. Avoid taking your liquid zinc with milk. If your diet or a physical condition, such as sickle cell, makes it hard for you to maintain a healthy zinc level, then a supplement is advisable. Any inflammation or ulcerating condition of the stomach or intestine, such as ulcerative colitis or Crohn’s disease, can also make it harder to absorb dietary zinc. In addition, those who suffer from conditions such as cystic acne may actually need a higher than normal zinc supplementation level to control the condition. Boosting your zinc intake (within reason) is a good decision for most healthy people. Take care when adding zinc supplementation to your routine so you don’t get too much as this mineral can be toxic in large doses. Take it either one hour before meals or two hours after for maximum absorption, but if you suffer stomach upset, take it during your meal for increased comfort.